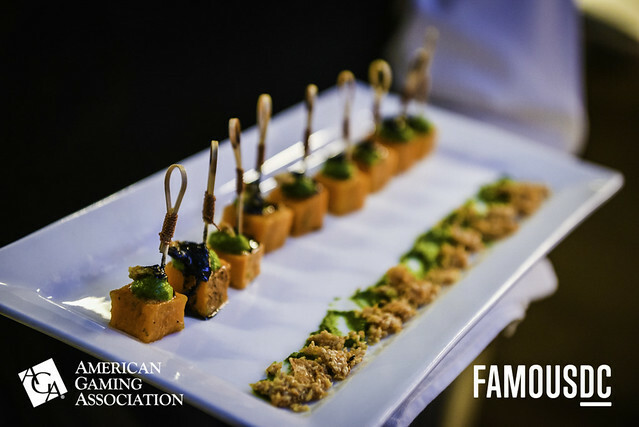 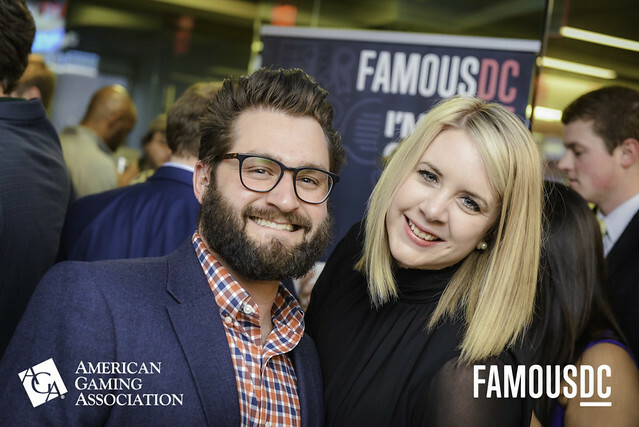 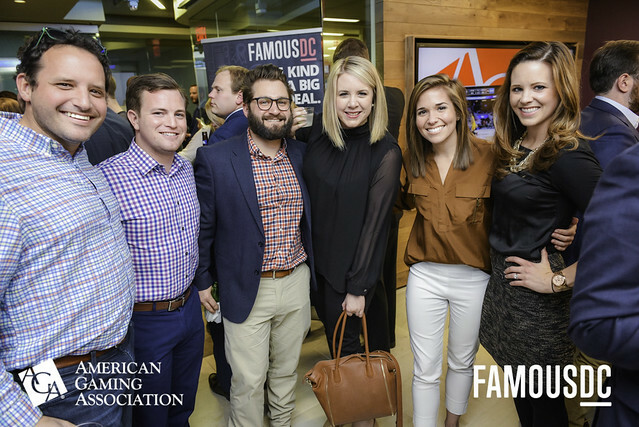 In what’s becoming an annual event, FamousDC teamed up last night with the American Gaming Association to tip off March Madness mayhem. 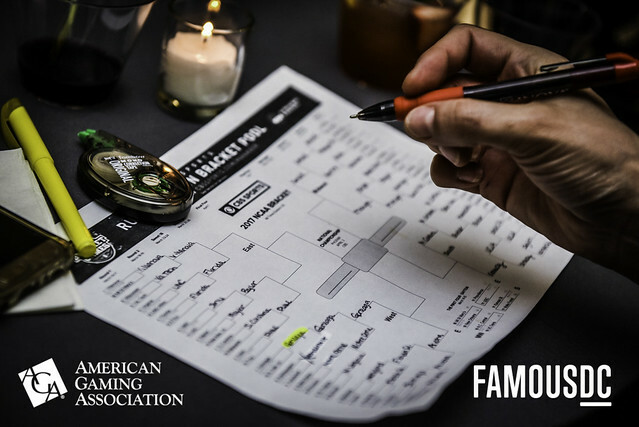 Political debate was set aside for the most important contest of the evening – the NCAA basketball tournament. 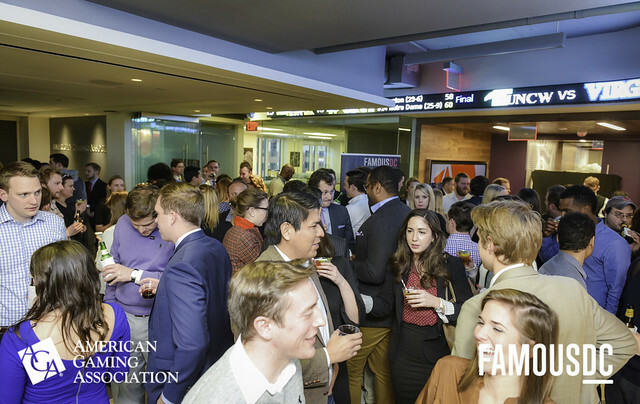 Guests mingled, buzzers beat and brackets busted as large screen TVs broadcasted the games throughout the AGA offices. 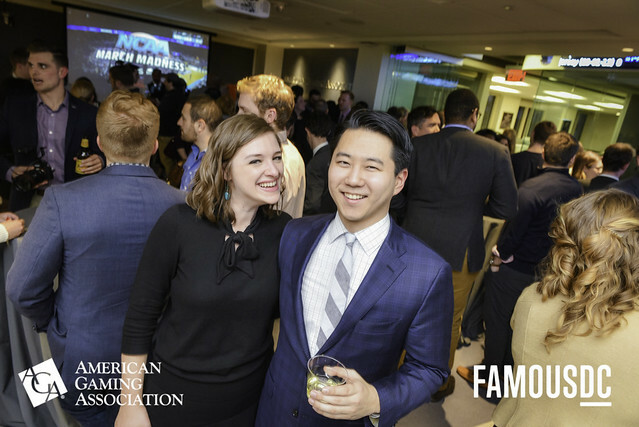 Cheers from AGA’s poker tables and slot machines complemented the cheers coming from the evening’s enthused basketball fans. 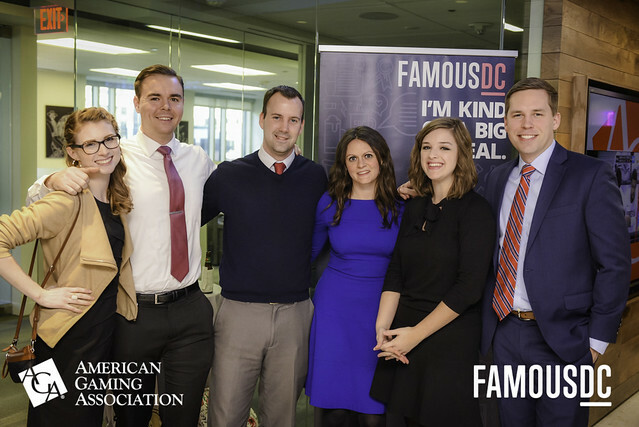 Famously Spotted: Rep. André Carson, Paul Kane, Washington Post, Andrew Fimka, NJI Media, Ron Bonjean, Rokk Solutions, Noelle Clemente, S-3 Public Affairs, Todd Wooten, S-3 Public Affairs, Lauren Coughlin, API, Kyle Adams, API, Niels Lesniewski, Roll Call, Michael Kaplan, Washington Nationals, Emily Goodin, Real Clear Politics, Jason Russell, Washington Examiner, Jeremy Art, C-SPAN, Howard Mortman, C-SPAN, Kelsey Art, DCI Group, Darin Gibbons, America Rising, Lauren Zelt, FP1 Strategies, Jake Wilkins, Republican National Committee, Nina Verghese, Locust Street Group, Morgan Gress, 1776, Craig Gordon, Bloomberg, Lauren Hagen, Hess Corporation, Erin Bergmeister, NJI Media, Kristina Peterson, The Wall Street Journal, Natalie Andrews, Wall Street Journal, Nicole Longo, PhRMA, Orlando Karpf, Beyond Agency, Jesse Barba, Cassidy & Assoc., Andrew Rafferty, NBC News, Ben Elleson, Rep. Billy Long, Andrew Palmer, Rep. Fleischmann, Craig Anderson, Rep. Austin Scott, Kathleen Carlson, JPMorgan Chase, Josh Jorgensen, Senator Mike Rounds, Joseph Bliss, Sen. Mike Rounds (R-SD), Jimmy Ward, Rep. Cheney, Justin Durbin, Rep. Tom MacArthur, Casey Contres, Congressman Bill Shuster, Ben Freeman, Rep. Jerrold Nadler, Adi Sathi, Office of Senator Orrin Hatch, John Christie, Rep. Norma Torres (CA-35), Erin Lange, NJI Media.